Modern ICT (Information and Communication Technology) has developed a vision where the “computer” is no longer associated with the concept of a single device or a network of devices, but rather the entirety of situated services originating in a digital world, which are perceived through the physical world. 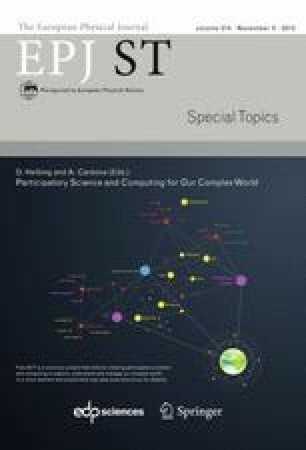 It is observed that services with explicit user input and output are becoming to be replaced by a computing landscape sensing the physical world via a huge variety of sensors, and controlling it via a plethora of actuators. The nature and appearance of computing devices is changing to be hidden in the fabric of everyday life, invisibly networked, and omnipresent, with applications greatly being based on the notions of context and knowledge. Interaction with such globe spanning, modern ICT systems will presumably be more implicit, at the periphery of human attention, rather than explicit, i.e. 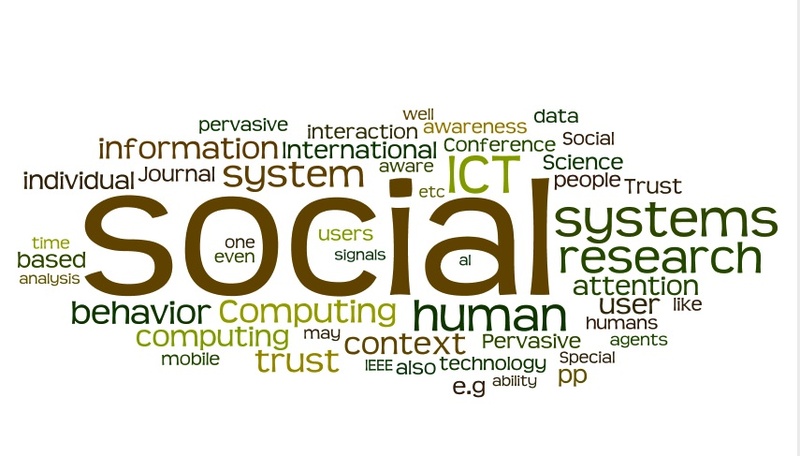 at the focus of human attention.Socio-inspired ICT assumes that future, globe scale ICT systems should be viewed as social systems. Such a view challenges research to identify and formalize the principles of interaction and adaptation in social systems, so as to be able to ground future ICT systems on those principles. This position paper therefore is concerned with the intersection of social behaviour and modern ICT, creating or recreating social conventions and social contexts through the use of pervasive, globe-spanning, omnipresent and participative ICT.